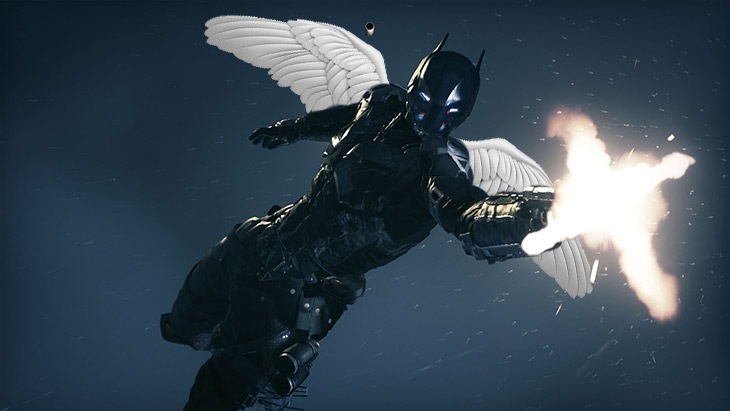 Will Batman: Arkham Knight release in February? Ah February, the month of love, boxed chocolates and cheap dates with drinks that taste like Roofies. And now also, hopefully the month of having crime punched out of a criminal, one battered and terrified thug at a time. February 24? Not a bad date at all. Traditionally, when big name games have been delayed from a Q4 release, they’ve shifted to a Q1 launch the following year. This happened to Tomb Raider (March 2013) and Bioshock Infinite (March 26). Additionally, February is a solid month to launch in next year. January is normally barren of new releases, while that month is usually reserved for only one or two big launches. Such as The Witcher 3, possibly Dying Light and The Order 1886 in February 2015. Hmmm, methinks we might have to wait until March if that’s the case. While Bandai Namco will release the Witcher 3 in Europe, Warner Bros Interactive will be releasing the CD Projekt Redd sequel in the massive North America market, and launching two big name games on the same date may result in someone getting shot in the foot at the end of the day. Whatever the release date truly is, I’m more than happy to wait for the game. As we were told at E3, “Awesome takes time”. Previous article Link with friends in the new Zelda?